Bidding farewell to a cherished loved one is a delicate and difficult time. Flowers can be the most fitting tribute, with their colour and beauty bring much-needed cheer. From wreaths to individually-designed displays, we’ll work with you to create the perfect farewell. We’re open to your thoughts and ideas around how best to pay tribute to your loved one. Traditional wreaths and coffin arrangements are always popular. But we can also cater for modern alternatives such as symbolic designs, woodland burials and the use of biodegradable materials. From a Harley-Davidson adorned with black orchids to a beautiful arrangement cascading from a favourite handbag, our expert florists can help you celebrate the life and the spirit of your loved one with a unique tribute. Please contact us or arrange a visit to our studio so we can discuss your thoughts. A large arrangement to beautifully crown the coffin. A simply decorated cross or heart hand finished and adorned with an elegant and minimal arrangement. 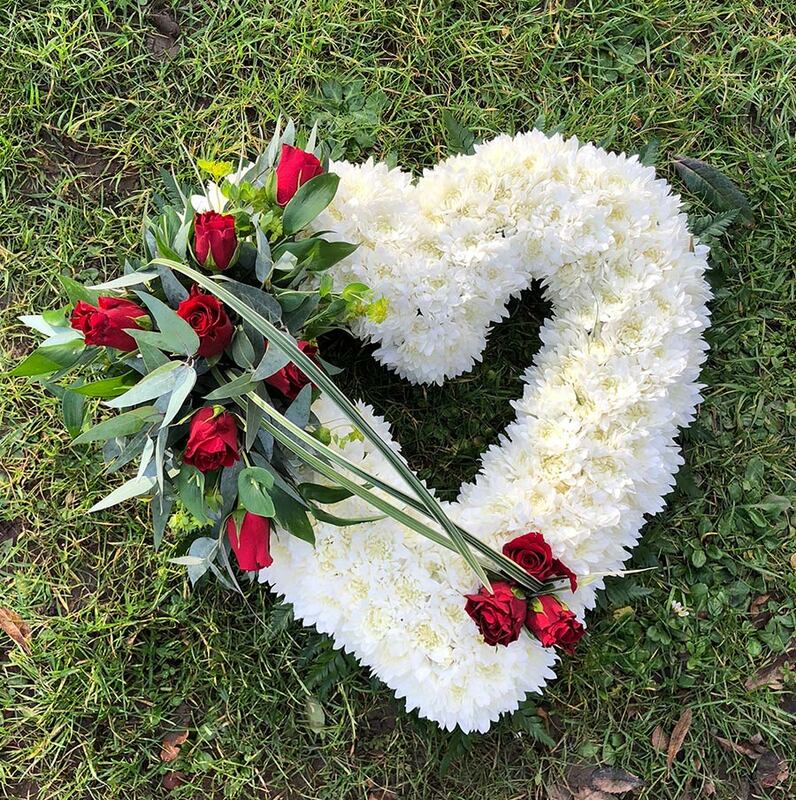 Embracing the beauty of nature and a celebration of the life, wreathes can be intertwined with flowers and natural decoration such as mosses and seed pods. Prices quoted are inclusive of VAT and packaging. Your flowers will be ready for collection on the day of the wedding or, by arrangement, on the day prior. Delivery will incur additional charges.